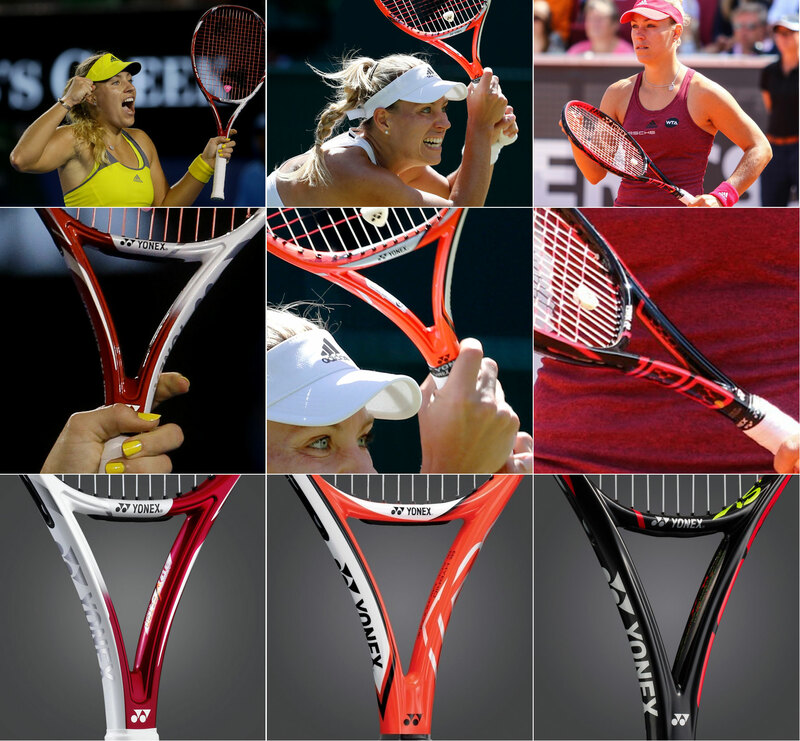 Angelique Kerber is playing great tennis during the Australian Open, but many wonder what her blacked-out racquet is. Is it a new line from her racquet sponsor Yonex? 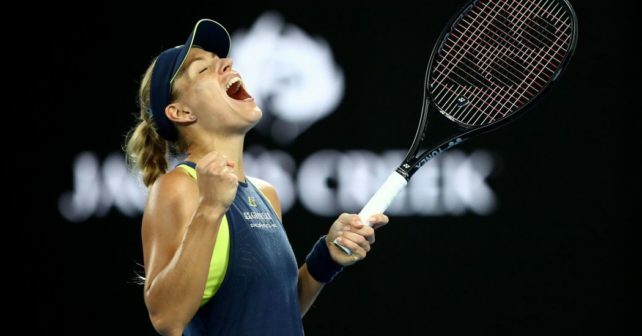 As you can see the throat is the same in three different paint jobs and judging by the pictures from the Australian Open 2018, she’s still using the VCORE 100S racquet with VCORE SV 100 text on the frame. 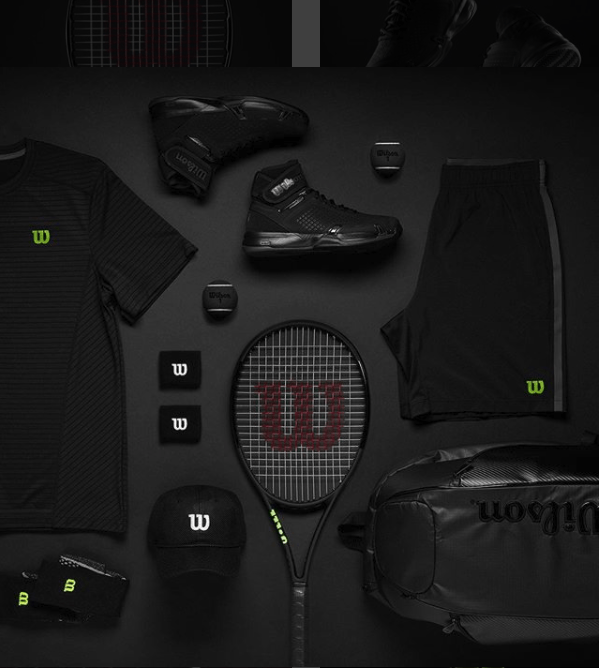 Not sure if there’s a new paint job/line coming out from Yonex or what the reasoning is behind the paint job is, since you can’t buy a blacked-out racquet from Yonex. Black is cool right? Maybe Yonex will do this too with an update to the SV line? The Prince Phantom line is already black, sleek and cool and if you’re interested in how the Prince Phantom Pro 100P plays, you can read my first impressions about the racquet here. But back to Angelique Kerber who looks ready to win another Australian Open trophy unless she’s stopped by Simona Halep. I don’t have her current racquet specs, but she’s using Yonex Poly Tour Fire string with Babolat VS Touch natural gut in the mains. 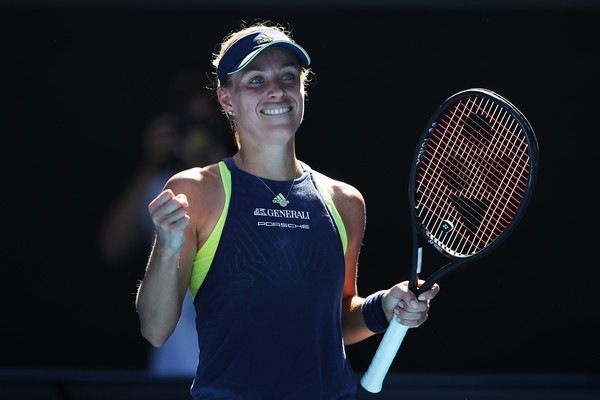 What do you think of Kerber’s chances of winning another Australian Open? Please comment below! Let’s look at the specs of the Yonex VCORE SV 100 Kerber is endorsing vs the specs of the Yonex VCORE 100 S that she’s using? As you can see below they’re not that different.